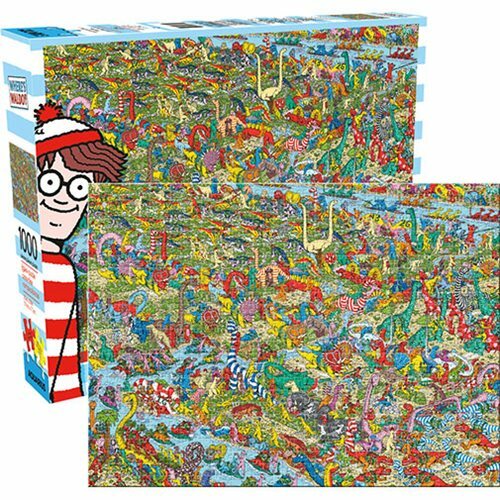 You'll easily spot the dinosaurs in this 1000-piece puzzle but Where's Waldo? He's in there somewhere! Enjoy piecing together this puzzle while you hunt for the elusive Waldo amid all the prehistoric reptiles playing sports. Will you finish the whole puzzle before discovering our favorite world traveler?